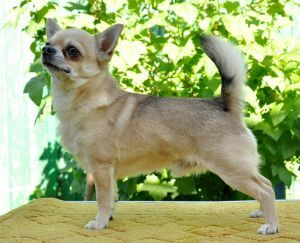 GRACIANO SAGA DES PYRAMIDES DE CHOLULA - World Pedigree DataBase Chihuahua, Chihuahua Pedigree DataBase. Titles: 2xBIS, INTERCH., MULTICH., 5хCACIB, 5хRCACIB, Jun.Ch.of Russia, Jun. Ch.of Club, Jun.Winner of Club, Ch.of Russia, Club Champion, Winner of Club, GrandCh.of Russia, 3xCh.RKF, Vice-Ch.of "Eurasia-2015", Ch.of Belarus, Grand Ch.Belarus, Nominee "CRUFTS-2014", Ch.of Ukraine, Grand Ch.of Ukraine, Ch.of Moldova, Grand Ch.of Moldova, Ch.of Bulgaria, Ch.of Balkan Countries, Ch.El Salvador, candidate for Ch.of Hungary, Champion of Romania.